Now you can have it all right here at The Lex on Central! We offer distinctive architectural styling and uncompromising attention to detail. Our community sets the standard for commitment to character, where special touches distinguish us from our neighbors and create an environment you will be proud to call home. Our one or two bedroom apartment homes and desirable location in a sought after Uptown Phoenix neighborhood have come together to bring you the best of both classic and modern styles that you won’t find anywhere else in Phoenix. Come up to quality with our world class amenities such as our 24-hour fitness center, fully equipped clubhouse complete with an internet café, flat screen TV and even dual bike rentals. Relax with family and friends in our barbecue and picnic areas. Our friendly, professional staff is available to assist with your needs and ensure that your apartment home is second to none in Phoenix Arizona. The very best of Uptown's shopping, dining, schools and entertainment are all within your reach at The Lex on Central. We’re conveniently located on West Minnezona Avenue in the center of it all with light rail access. We are just minutes away from Tawa Park, Harkin's Theaters and so much more! 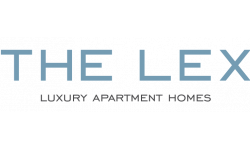 Schedule your appointment today and come see why we say you'll love where you live at The Lex on Central in Phoenix!